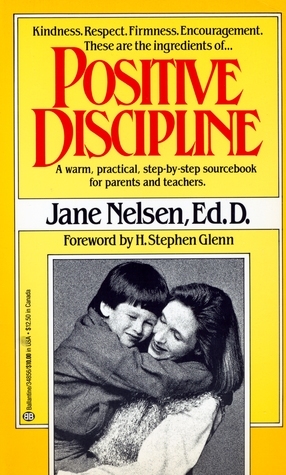 If you feel trapped between extremes when you're disciplining your children, you'll appreciate the time-tested advice in this classic guide. You don't have to spank your children to get them to behave--and you don't have to worry that you're spoiling them, either. Drawing from four major child guidance philosophies, parent educator Elizabeth Crary provides dozens of examples and exercises to help you find the best way to rear your children. The ultimate “parenting bible” (The Boston Globe), a timeless, beloved book on how to effectively communicate with your child from the #1 New York Times bestselling authors. This bestselling guide rejects "quick-fix" solutions and focuses on helping kids develop their own self-discipline by owning up to their mistakes, thinking through solutions, and correcting their misdeeds while leaving their dignity intact. Coloroso shows these principles in action through dozens of examples -- from sibling rivalry to teenage rebellion; from common misbehaviors to substance abuse and antisocial behavior. She also explains how to parent strong-willed children, effective alternatives to time-outs, bribes, and threats, and how to help kids resolve disputes and serious injustices such as bullying. Used by new and veteran teachers, college instructors, and administrators, this is a beautifully designed book on classroom management, student achievement, and teacher effectiveness. Newer edition. Over 3 million copies have been sold of the preeminent book on classroom management and teaching for lesson achievement. The book walks a teacher, either novice or veteran, through the most effective ways to begin a school year and continue to become an effective teacher. All parents want their kids to get along, but often get caught up in solving their children's problems. Kids can cooperate if they have the skills. Elizabeth Crary describes how to teach children the skills they need to solve conflicts themselves. Stressing that every child has some kind of special need, especially children with challenging behavior, this book contains numerous practical, indispensable tips for responding to those needs, building relationships with children and their families, and preventing challenging behavior. 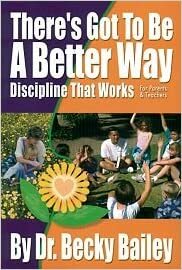 It provides teachers with background information that enables them to understand why children behave the way they do and presents several evidence-based strategies to address their challenging behavior effectively so that teachers can select those best suited to the child and the situation. Useful to education students as well as in-service teachers in pre-school, child care, and primary school, the book emphasizes the importance of the teacher’s role in the behavior of children and encourages students and educators to reflect on their own values, feelings, and actions. In addition to up-to-date research on culture, dual-language learning, resilience, and inclusion, this new edition focuses on what stress can do to children’s brains, executive function, and behavior. In her now-classic kids are worth it! , Barbara Coloroso offered solid advice and practical parenting techniques that above all preserved the dignity of both parent and child. Coloroso’s underlying parenting vision ascribes to parents the responsibility to teach the next generation how to think, not just what to think, so that they may grow into the best people they can be. This book provides readers with a humorous and enlightening way to uncover damaging beliefs that adults hold about themselves and children. With this new understanding, readers are guided through specific examples, situations and interactive discipline skills. The book is based on love and acceptance instead of fear and control. Step-by-step, readers learn how to teach children to meet their needs in socially acceptable ways without adults being too controlling or permissive. This book is for every parent or teacher who wants to create an environment of problem solving where children "choose" to be participate and cooperate. There is a better way! Learn how to stop policing and pleading and become the parent you want to be. You love your children, but if you're like most parents, you don't always love their behavior. But how can you guide them without resorting to less-than-optimal behavior yourself? Dr. Becky Bailey's unusual and powerful approach to parenting has made thousands of families happier and healthier. If you're a parent, you may have already discovered the dearth of literature on a very important period in your child's life: ages two to five, known as the preschool years. The first book of its kind, The Preschool Years brings together in a single, superbly organized volume the advice of parents, and the latest thinking of experts, on one hundred issues that arise during this crucial time. The leading experts on parent-child communication show parents and teachers how to motivate kids to learn and succeed in school. Using the unique communication strategies, down-to-earth dialogues, and delightful cartoons that are the hallmark of their multimillion-copy bestseller How to Talk So Kids Will Listen and Listen So Kids Will Talk, Adele Faber and Elaine Mazlish show parents and teachers how to help children handle the everyday problems that interfere with learning. All parents try to do their best--but the best of intentions don't always produce the best results. Dr. Jane Nelsen, an experienced psychologist, educator, and mother, believes that children misbehave when they feel thwarted in their need to belong and in their need for love and attention. An authoritative approach, using phrases like "Because I said so! ", will only lead to rebellious behavior. Instead, parents need basic principles that bring them and their children closer. They need Positive Discipline.